Located near a pet bakery, grooming, and veterinary services, Dwell Nona Place is situated in the perfect area for you and your furry friend to call home. 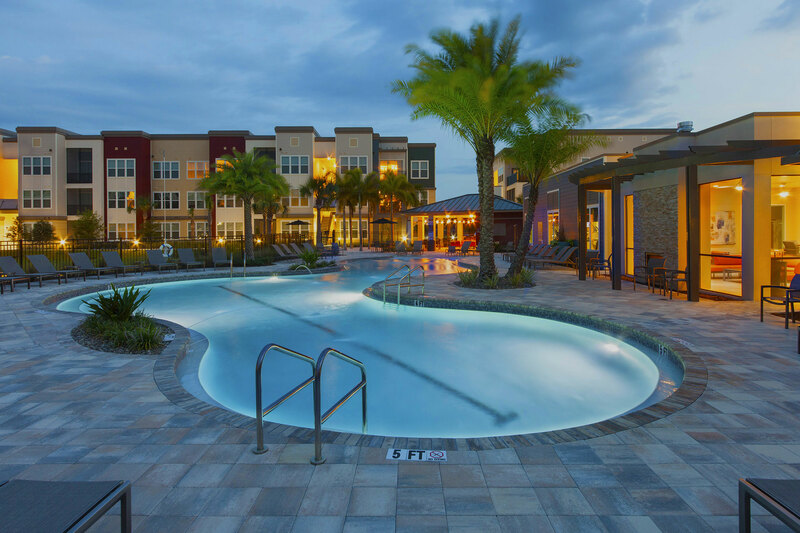 Featuring an on-site pet park with an obstacle course and dog washing station, our rental community offers pet-friendly apartments in Lake Nona, FL. Our rental community is located just a short drive from Woof Gang Bakery, which offers gourmet pet treats, supplies, and grooming services. Should you ever need it, Lake Nona Animal Clinic is conveniently located right next door to the pet shop. We offer one and two bedroom apartments and three bedroom townhomes with plenty of room for you, Fido and Mittens. Each of our apartments is equipped with luxurious amenities like a full-size washer and dryer, energy star GE® appliances, and granite counter tops in gourmet kitchens with chef-inspired islands. Pets are welcome at Dwell Nona Place. Certain breed and weight restrictions apply. View our pet policy for additional details. Call us today for more information about our pet-friendly apartments in Lake Nona, FL and set up a tour!